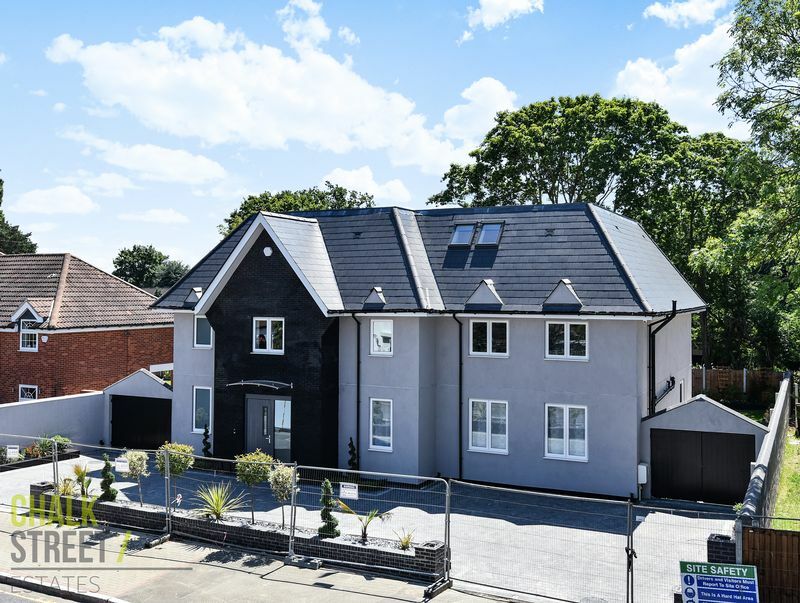 Amassing over 5000 square foot of internal accommodation is this brand new 6 bedroom, 8 bathroom family residence, located within the much sought after and exclusive Emerson Park. Spanning four floors, this vast property enjoys luxury’s such as en-suite bathrooms and fitted wardrobes or dressing rooms to each of the six double bedrooms, basement level gym and sauna complex as well as a cinema/bar room and two large reception rooms in addition to the contemporary, open plan kitchen and separate laundry room. Externally the property enjoys a landscaped, wrap-around garden to the side and rear with a large block paved frontage providing ample parking. Entering the property on the ground floor, the entrance hallway extends to the right-hand side providing access to the downstairs accommodation and staircases to both the upper and lower levels. To the left is the well-appointed cloakroom. Further along the hallway, double patio doors open directly on to the rear garden, a further set of internal double doors lead through to the spacious principal living room, enjoying direct access and views over the rear garden. To the other side of the hallway resides the open plan kitchen/living/dining area. Commencing with the kitchen which has been finished to an exceptionally high standard, comprising a range of both under counter and wall mounted high gloss storage units. Granite work surfaces extend across two sides with mirrored splash back tiling, set in to the work surface is a stainless steel sink with double drainer and hot and cold mixer tap with the addition of instant boiling water. Integrated appliances include Miele oven, separate microwave and plate warmer below, fridge and separate freezer in addition to a below counter wine cooler. In the centre of the kitchen area is a large island again with high gloss below counter units and granite top. Built in to the island is a solid wooden retractable dining table, furthermore, set in to the island is secondary stainless steel sink and Miele 5 ring gas hob with extractor above. Staircases are finished with a wooden bannister with glass balustrade panels and inset LED lighting, the first floor enjoys a part galleried landing providing access to the four of the six bedrooms, with additional storage cupboards. 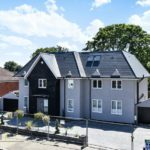 The first of which is located towards the front of the property with two windows to the front elevation, full wall of built in wardrobes and modern, fully tiled, en-suite bathroom with separate shower. The second bedroom is located over the landing to the rear of the property, again with a full wall of built in wardrobes and a modern en-suite shower room. To the other side of the property are a further two double bedrooms, each with fitted wardrobes and access to their own individually designed en-suite shower rooms. Rising to the second floor landing, further storage cupboards in addition to access to the eaves of the roof providing extensive storage. Top floor accommodation comprises two large double bedrooms drawing light from Velux windows, each enjoying their own high quality en-suite bathrooms with separate showers, dressing rooms with built in storage. Below ground is the spacious basement level which has been divided up to provide an exceptionally large cinema/bar room in addition to a sauna and gym complex. Also in the basement is the laundry room with fitted storage, porcelain double sink with chrome mixer tap and fitted washing machine with separate tumble dryer. Finally, there is a second cloakroom in addition to a plant room that houses the boiler and utilities for the property. Outside, the property enjoys a fully re-landscaped wrap-around garden that commences with a large paved patio area with the remainder laid principally to lawn. Around the borders are raised, well stocked flower beds and shrubs, to the rear of the garden is a small store with plumbing and power. Set back from the road behind a raised plant bed with freshly planted shrubs, the frontage has been block paved with a dark grey brick to provide more than ample off-street parking for multiple vehicles. Call our Havering Office on 01708 922837 for more information or to arrange a viewing.